Istanbul (AFP) - Turkish fighter jets on Saturday shot down a Syrian helicopter that crossed into Turkey's airspace in the south of the country, the government and army said. The incident marked a new spike in tensions between Turkey and the Damascus regime of President Bashar al-Assad, whose overthrow Turkey believes is essential to solve the Syrian crisis. "A Syrian helicopter was downed that violated the border for a period of five minutes within a seven mile (11 kilometre) limit," Turkish Defence Minister Ismet Yilmaz was quoted as saying by the Dogan news agency. Syrian state television had earlier indicated the aircraft was a drone. "Having rightly fulfilled their duty, I congratulate the armed forces and kiss the eyes of them all," Yilmaz said, using a traditional Turkish expression. He did not give any further details on the helicopter or possible casualties. 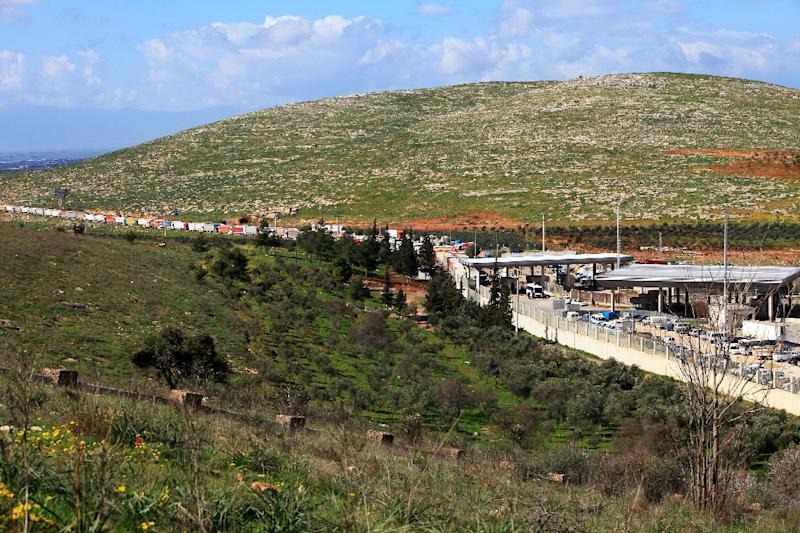 The incident happened in the area of the Cilvegozu border crossing in the Hatay region of southern Turkey on the Syrian border, Yilmaz said. Without specifying that the aircraft was a helicopter, the Turkish armed forces said two F-16s had been scrambled to deal with the intruding Syrian aircraft. "The aircraft was rendered ineffective. The aircraft fell onto Syrian territory," the army statement said. Turkish Prime Minister Ahmet Davutoglu also confirmed that a Syrian helicopter had been shot down and said he congratulated the Turkish pilots for their "strength and steadfastness". In a clear warning to Assad, he said that the incident should serve as a warning to anyone who violates the Turkish border. "No matter who you are, whoever violates our border will be punished," he told Star television in an interview. "I hope this message has been received and no-one dares violate our borders again," he added. 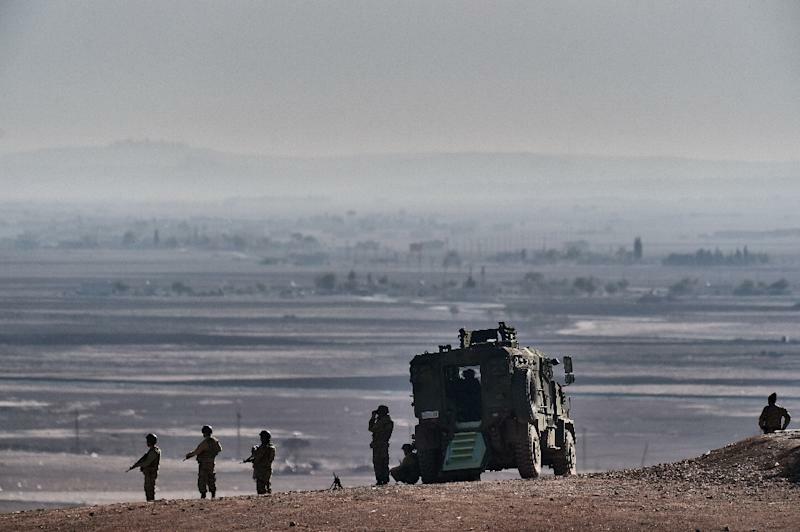 A source told the Hurriyet daily that the targeted craft had broken into three pieces and crashed on the Syrian side of the border. Syria meanwhile vehemently denied it could have been a manned aircraft. "It is not true that Turkish fighter jets shot down a Syrian plane. What was shot down was a small drone flying nearby," Syrian state TV said, citing a military source. 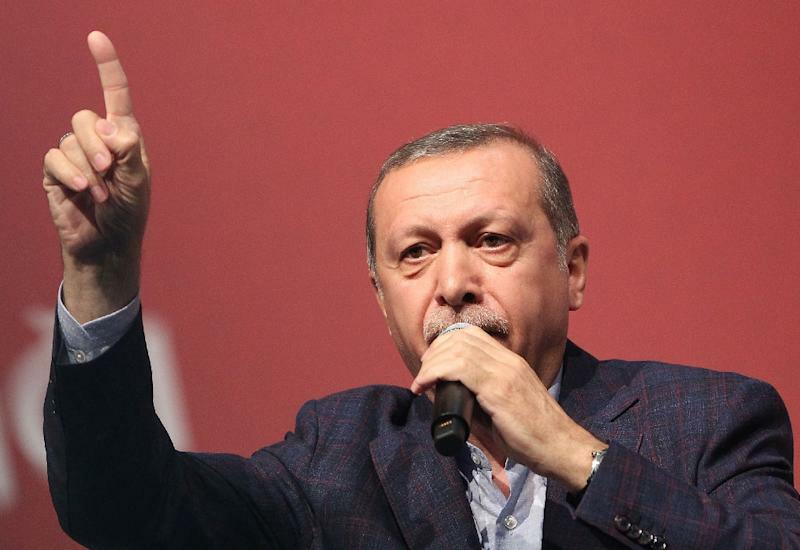 Turkish President Recep Tayyip Erdogan has emerged as one of the main opponents of Assad, saying his exit is key to solving the conflict. Turkey has also been accused of arming and supporting the Islamist opposition fighting Assad but Ankara had always vehemently denied this. This is not the first time Turkish armed forces have shot down a Syrian aircraft. In March 2014 they shot down a Syrian warplane, and the air force shot down a Syrian helicopter in September 2013. A Turkish jet was also shot down by Syrian forces in 2012. As in March 2014 -- when the downing of the plane came in the midst of campaigning for local elections -- the latest incident coincides with looming polls as Turkey prepares for legislative elections on June 7. A deputy from the opposition Republican People's Party (CHP) claimed earlier this month that Turkey was set to launch a military operation in Syria ahead of the polls but the allegation was ridiculed by the government.